A break, a whoop, and a high five. Playing pool is ridiculous fun. Greenleaf’s Pool Room in downtown Richmond, Virginia re-presents the historic urban pool room as a realm of surprise and delight. 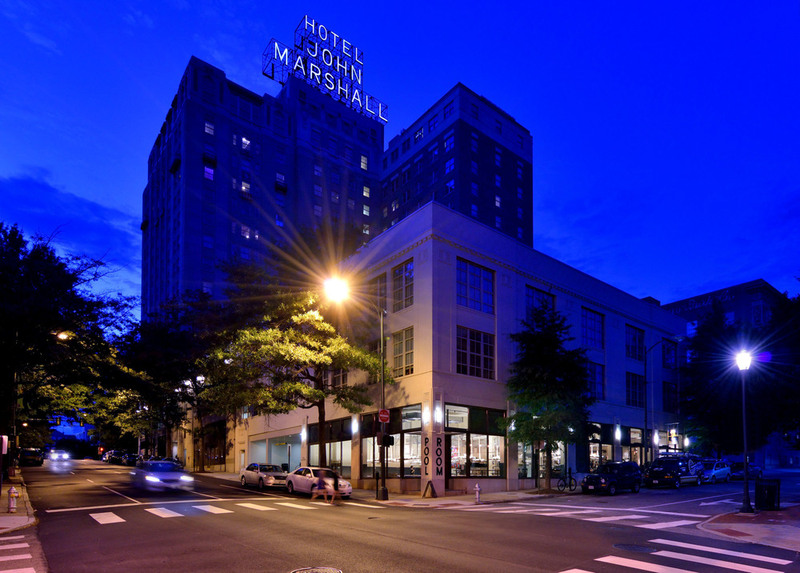 Attached to the Hotel John Marshall, now apartments, built in 1929 as “The Finest Hotel in the South”, our room is named after 1920s player Ralph Greenleaf—a glamorous champion and showman who shared the sports pages with Babe Ruth and a bottle with anyone. We have 12 regulation Brunswick Gold Crown pool tables with spectator and theater seating to accommodate large and small groups. Our kitchen serves updated takes on classic luncheonette fare with a French Dip sandwich straight out of 1930s Los Angeles. We offer fresh, tailored versions of classic cocktails, as well as local craft beer. Prior to World War II, every American downtown boasted multiple pool halls. In the biggest cities, rooms became living parts of the lore attached to their resident champion players and hustlers. The pool room was as necessary to the American downtown as a church. It had a set code of behavior and etiquette, almost always posted on the wall, but within that finite structure promoted delightful improvisations of shifting trusts and storytelling. It was a venue equally romantic and practical. This sweet juxtaposition inspired the opening and design of Greenleaf’s Pool Room, and also our daily offerings and overall vibe.